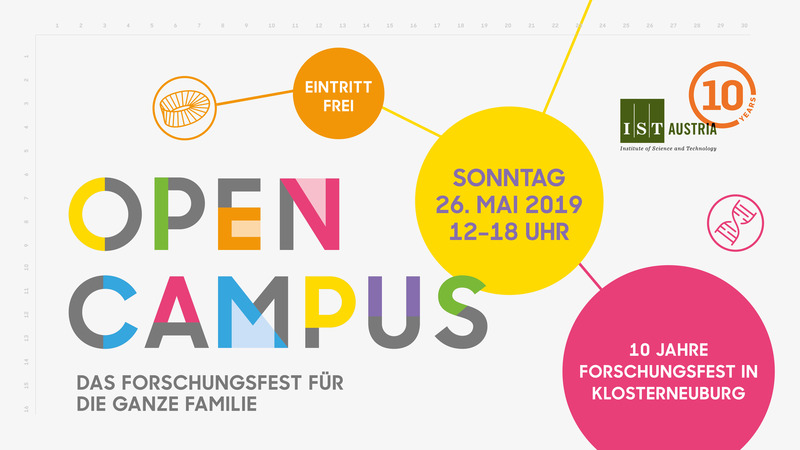 On Sunday, May 26th, 2019 IST Austria invites to the 10 year anniversary Open Campus. At this festive occasion we dip into the past, but more deepen into the future: The festival will starts with a juvenile glimpse at research during the award ceremony of the school contest “Wir schaffen Zukunft”. Afterwards Vince Ebert will recites sharp punchlines of his cabaret program “Zukunft is the Future”. The science event will close with inspiring questions that children have for research. Beside a glimpse behind the scenes of the research institute, the Open Campus festival will offer science activities for families, children, and young people. Follow us on Facebook and keep half an eye on the regularly updated program of the Open Campus 2019!